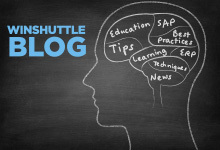 Customers who have been using Winshuttle Transaction with Winshuttle Central have for a long time been able to take advantage of the out-of-the-box governance workflows, ensuring that upload scripts and Excel data files are reviewed and approved before being used against any production instances of SAP. This has effectively allowed companies to deploy Winshuttle and realize the benefits more widely across the business, without compromising IT governance requirements. Additional approval levels (e.g. approval by line manager, data team and/or IT). Multiple contributors of data (e.g. different business units responsible for different sections of a master data object). Alternate flows based on field values (e.g. additional approval step(s) for higher amounts or different approvers based on different cost codes). 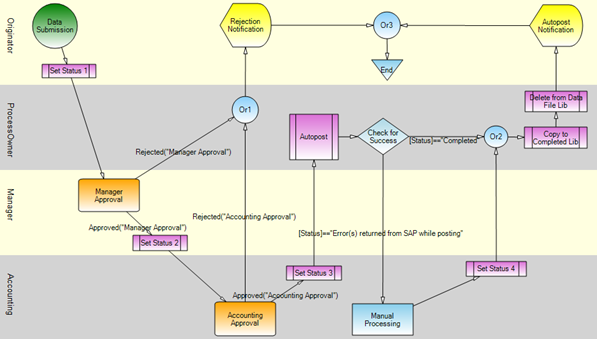 Following one of Winshuttle’s core principles, the process flows are created without programming, using the intuitive graphical design canvas in Winshuttle Designer. Once the process flows have been drawn, the workflow is simply deployed to Winshuttle Central where you are (already) managing all of your scripts, templates and data files.